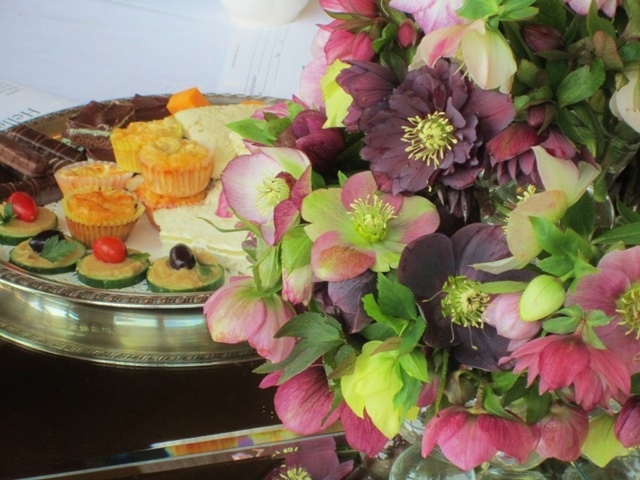 An always sold-out fundraiser event, the Hellebore Tea brings together many of the area’s garden clubs and Foundation supporters for an afternoon of entertainment and socializing, when the beautiful hellebores are in full bloom. The Tea features food, drink and live music at Lake Wilderness Lodge, overlooking beautiful Lake Wilderness. The Arboretum raises funds through ticket sales, a silent auction and donations. 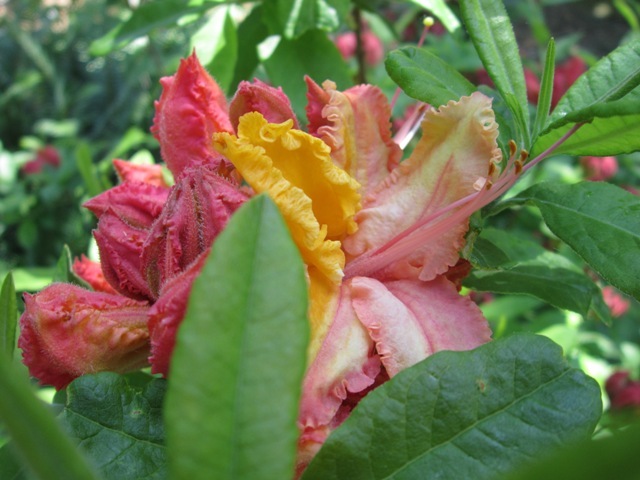 This party held in late May celebrates the peak bloom time in the Arboretum’s Smith-Mossman Garden -the largest public collection of wild-collected Rhododendron occidentale in the world. Invitees include the Maple Valley City council, Parks Department administrators, plant enthusiasts and community leaders. 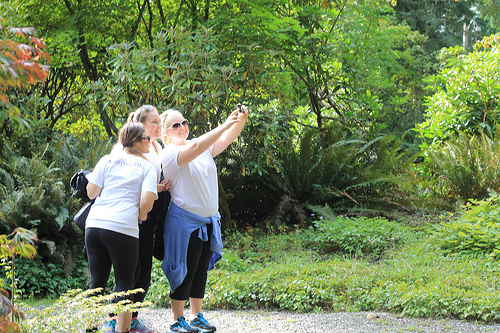 Arboretum volunteers are also in attendance, visiting with and guiding guests on tours of this special garden. 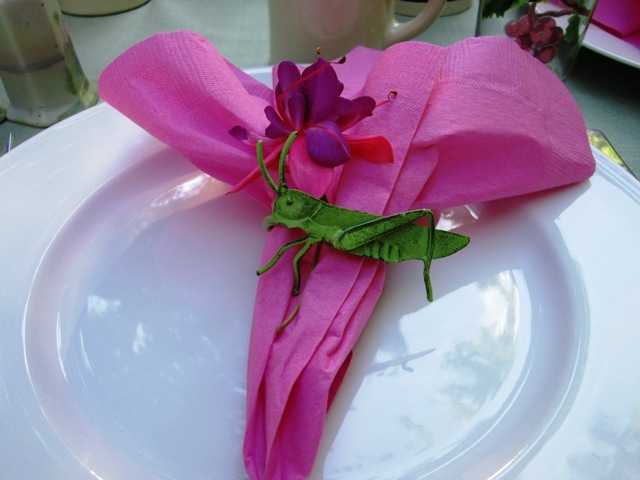 Invited friends of the Arboretum gather in the gardens for this fundraiser that celebrates the voluptuous fuchsia, and features a barbecue dinner set among our fuchsia plants in full bloom. The largest volunteer event in Washington State, United Way’s Day of Caring is a great way to help out local nonprofits -and have fun. Volunteers lend a hand to the Arboretum on garden and forest projects led by Arboretum staff and our dedicated volunteers, staff and Board members. The nation’s largest day of community service, Make a Difference Day is also a tradition in the City of Maple Valley. Community members come together and work hard to help tackle some big projects around the Arboretum and others – all in one day. Everyone is welcome to volunteer, from toddlers to seniors and everyone in-between. 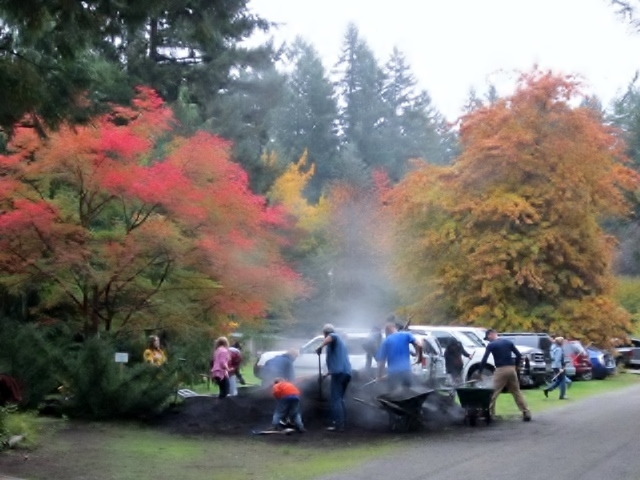 Over the past several years, the Rotary Club of Maple Valley and the City of Maple Valley have partnered to bring volunteers and projects together.